One of Zimbabwe's most accomplished musicians, Oliver Mtukudzi will celebrate the release of his landmark 65th album with his fans at a spectacular premium concert on September 30. The high profile event will be held at Borrowdale Manor in Harare. The concert is expected to provide fans with a rare opportunity to experience some intimate encounters with the superstar's sensational showmanship.Tuku, as the music legend is affectionately called by his legion of fans, is known for his expressive and awe inspiring stage presence, a multi-faceted sound and unmatched lyrical prowess. 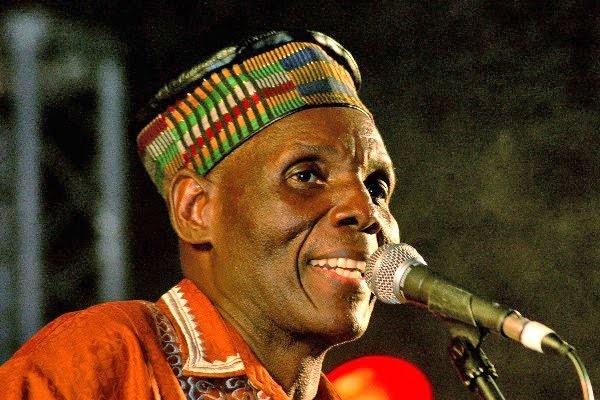 In an interview recently, show organiser Thompson Dondo of D&G Events said, "Tuku will showcase his new album for the first time in a fun-filled open air setting under the stars on a beautiful summer evening. "We will create a festival atmosphere that combines innovative lighting and décor, a VIP area with tables and chairs, a dance arena and interaction spaces for bars and food stalls." The new album marks a major milestone in the musician's career which spans over four decades. It combines expert arrangements and rich lyrical content; elements that are typical to Mtukudzi style and Katekwe genre. Zimbabwe's most exiting young artistes Tariro neGitare, Sam Dondo and Jah Prayzah will open the concert in what promises to be a truly memorable event. These artistes have benefited from Tuku's active mentorship in their career paths. Zimbabwean culture on the global stage performed, written and recorded some of the influential music of our time. His music touches people across generations in many different ways; with strong social messages appealing for respect, restraint, tolerance, self discipline and peace.